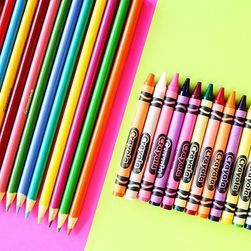 What is it about the smell of new crayons and freshly sharpened pencils? In a word, it’s potential. As I open the boxes and the scent of crayons wafts up, I’m thinking of all the wonderful vocabulary and literary illustrations we’ll do this year. The pencils are just waiting to have something marvelous to put on a page in word or design, and I’m anxiously waiting to see what that will be. The first day of school is inching ever closer. Then, our journey of learning together will begin! We’ll learn not only about grammar, information, and processes but also about each other and life in general. I’ll see all of you soon!